Carbohydrates in most diets are our greatest source of calories, to be absorbed into the body, carbohydrates have to be broken down into monosaccharides, this breakdown occurs largely by two enzymes called amylase and glucosidase (1)Obiro WC, Zhang T, Jiang B. The nutraceutical role of the Phaseolus vulgaris alpha-amylase inhibitor. Br J Nutr. 2008;100:1–12. doi:10.1017/S0007114508879135. (PubMed) (Cross Ref). Carbohydrates are digested initially in the mouth by secreted amylase which accounts for about 5% of the breakdown, halted in the stomach due to acidic environment destroying amylase activity then carbohydrates enter the intestines, pancreas secretes amylase, (don’t you wish it didn’t) and the carbohydrates are further broken down and are primarily either used as energy, stored as fat or carbohydrates that are resistant to digestion enter the colon, ferment by colonic bacteria and primarily become waste. One way of reducing carbohydrate absorption is by the use of “resistant” starches which resist digestion in the small intestine thereby being passed into the large intestine, and a then act like dietary fiber (2)Englyst KN, Englyst HN. Carbohydrate bioavailability. Br J Nutr. 2005;94:1–11. doi: 10.1079/BJN20051457. (PubMed) (Cross Ref). These wonderful starches are naturally found in seeds, unprocessed whole grains, legumes (3)Grabitske HA, Slavin JL. Low-digestible carbohydrates in practice. J Am Diet Assoc.2008;108:1677–1681. doi: 10.1016/j.jada.2008.07.010. (PubMed) (Cross Ref) (4)Higgins JA. Resistant starch: metabolic effects and potential health benefits. J AOAC Int.2004;87:761–768. (PubMed). A way to slow the absorption of carbohydrates is through the use of alpha-amylase and glucosidase inhibitors Acarbose (Prandase®,Precose®) a prescription drug inhibits alpha-glucosidase and alpha-amylase. Alpha-amylase inhibitors are present in plants likely developed in order to strengthen their defense against predators. Plants with natural alpha-amylase (polyphenolic compounds and glucoproteins) inhibitors (naturally reduce carbohydrate absorption) (5)Tundis R, Loizzo MR, Menichini F. Natural products as alpha-amylase and alpha-glucosidase inhibitors and their hypoglycaemic potential in the treatment of diabetes: an update. Mini Rev Med Chem. 2010;10:315–331. doi: 10.2174/138955710791331007. (PubMed) (Cross Ref). For example raspberries and strawberries have been reported to inhibit alpha-glucosidase and alpha-amylase activity (6)McDougall GJ, Stewart D. The inhibitory effects of berry polyphenols on digestive enzymes.Biofactors. 2005;23:189–195. doi: 10.1002/biof.5520230403. (PubMed) (Cross Ref), as well as theaflavins, catechins present in green and black teas and alpha-amylase inhibitors are also present in grains (wheat, rice). The greatest body of research has been gone into glycoproteins (alpha-glucosidase, alpha-amylase inhibitors) extracted from kidney beans (Phaseolus vulgaris) with 3 isoforms of alpha-amylase inhibitor (alpha-A1, alpha-A12, alpha-AIL) (8)Anderson RA. Chromium. In: Mertz W, ed. Trace Elements in Human and Animal Nutrition, Vol I. San Diego: Academic Press 1987. P 225-44.. The alpha amylase inhibitor prevents starch digestion by completely blocking access to the active site of the alpha-amylase enzyme. Yes I know that is a mouthful and rather complicated explanation but it’s important to us that you understand the scientific process of how our constituents and products work. If you’re going to completely stay away from any refined carbohydrates probably you likely will not need any bottles, however if you are going to have refined carbohydrates (bread, pasta, cake, cookies etc.) determine how much you’re going to have in plan accordingly. If you’re like most, and you have 10 or more pounds to lose start with three bottles, 25 or more pounds to lose, start with six and take advantage of the package discounts. So does this mean I can eat as much cake, candy, refined carbohydrates as I want and still lose the weight? No. 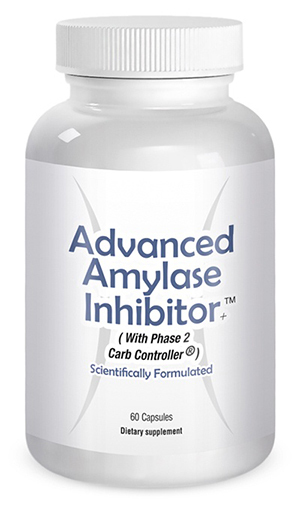 Advanced Amylase Inhibitor™ is not a miracle pill, but a powerful aid for you to use wisely in your diet and exercise program to help you achieve the results that you want for yourself. Can I use Advanced Amylase Inhibitor every day before each meal that is high in refined carbohydrate? Yes you can best used before your meal with a glass of water. Because amylase inhibitors prevent digestion of carbohydrates in the intestines, therefore moving it into the colon, some may experience gas as a result of fermenting of colonic bacteria and the carbohydrate coming waste (to be completely scientific, I’m sure you’d rather poop it out, then have a collect on your hips waste and stomach). Other than that there is no negative side effects. 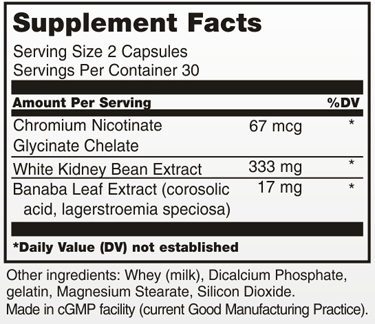 Advanced Amylase Inhibitor does not have any caffeine or other stimulants. This is an all-natural formula that should be safe and effective for everyone however just to be safe it’s always a good idea when starting any weight loss program to talk to your doctor. And do not take Advanced Amylase Inhibitor if you are pregnant, nursing or under age 18. 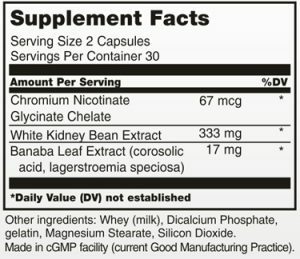 The best way to use this product is not at the same time every day but when you are going to eat a refined carbohydrate, the more you eat the more you want to take but don’t exceed two capsules at any one time. Chromium is an essential trace mineral, found in foods like vegetables, meats and whole grains; however food processing may reduce Chromium levels in foods (8)Anderson RA. Chromium. In: Mertz W, ed. Trace Elements in Human and Animal Nutrition, Vol I. San Diego: Academic Press 1987. P 225-44.. Research suggests that chromium depletion may be connected to type II diabetes, blood sugar regulation (9)Boyle Jr E, et al. Chromium depletion in the pathogenesis of diabetes and atherosclerosis. South Med J 1977 Dec;70(12):1449-53.. In a study by Richard Anderson PhD, US Department of Agriculture, Beltsville Human Nutrition Research Center, with Beijing medical University Hospital found Chromium may be useful in the management of type II diabetes at higher dosage (3)Grabitske HA, Slavin JL. Low-digestible carbohydrates in practice. J Am Diet Assoc.2008;108:1677–1681. doi: 10.1016/j.jada.2008.07.010. (PubMed) (Cross Ref). In a very interesting placebo-controlled study 180 Chinese with type II diabetes took either 200mcg, 1000mcg Chromium Polynicotinate or placebo, glucose levels were lower in the 1000mcg group, even more interesting cholesterol levels decreased (10)Anderson RA, et al. 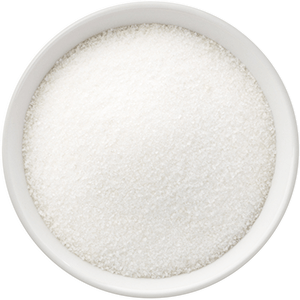 Elevated intakes of supplemental chromium improves glucose and insulin variables in individuals with type 2 diabetes. Diabetes 1997 Nov;46(11):1786-91.. Chromium in the form of picolinate, in a double-blind placebo-controlled study of 154 people on 200mcg a day or 400mcg for 72 days increased muscle mass and reduce fat (11)Kaats G, et al. Effects of chromium picolinate supplementation on body composition: a randomized, double-masked, placebo-controlled study. Curr Therapeut Res 1996 Oct;57(10):747-56.. In a study after that the active group (those taking Chromium) lost significantly more weight than the placebo group over 90 days, most interesting, without any muscle tissue loss, very important (12)Kaats GR, et al. A randomized, double-masked, placebo-controlled study of the effects of chromium picolinate supplementation on body composition: a replication and extension of a previous study. Curr Ther Res 1998;59:379-88.. 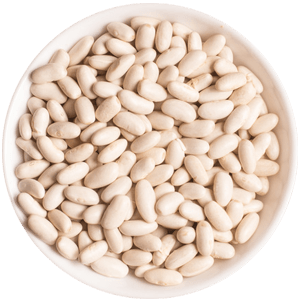 These common beans have three isoforms of alpha amylase inhibitors, alpha A1, alpha a 12 and alpha AIL, and the alpha A1 isoform has anti-amylase activity in humans, believed to be an anti-feedant or a seed defense protein (7)Moreno J, Altabella T, Chrispeels MJ. Characterization of alpha-Amylase-Inhibitor, a Lectin-Like Protein in the Seeds of Phaseolus vulgaris. Plant Physiol. 1990;92:703–709. doi: 10.1104/pp.92.3.703. (PMC free article)(PubMed) (Cross Ref) (in other words, a natural plant defense). Alpha amylase inhibitor prevents starch digestion by blocking access to the active site of the alpha-amylase enzyme. Has been used for thousands of years in India and the Philippines to naturally treat diabetes and low blood sugar levels, the blood sugar regulating properties apparently come from corosolic acid, the active ingredient and have demonstrated in cell culture to stimulate glucose uptake. It has been shown to help alleviate food cravings in individuals with high blood sugar levels. 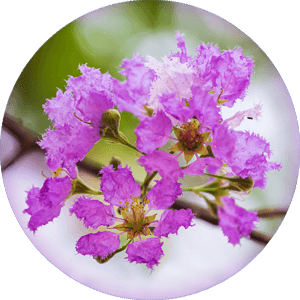 Banaba has been used to promote weight loss, speed metabolism and high in minerals manganese and zinc, extracts are used for their high antioxidant benefit.